Dungeons & Dragons has seen a resurgence in popularity of late, and millions of prospective players are interested in giving the classic tabletop role-playing game a shot. But... how does a person go about doing that, exactly? Well, we've got you covered with a little help from Critical Role Dungeon Master Matthew Mercer. Matthew Mercer is arguably one of the best Dungeon Masters in the business, and one of the big reasons why Critical Role is so popular. Not only is Mercer a master storyteller, he balances challenging combat situations with skill challenges and situations where stabbing things to death isn't necessarily the best solution. He's also adaptat thinking on his feet and creating memorable NPCs seemingly at the drop of a hat. When we spoke to Mercer about the start of his show's new campaign, we also had the chance to pick his brain about being a Dungeon Master. While leading a Dungeons and Dragons game seems like it would be a challenge, it's mainly about approaching the game with the right mindset... which is exactly what you'd need to do as a player anyways. While we talked to Mercer about how to best run a Dungeons & Dragons campaign, most of these tips apply to any sort of tabletop role-playing game. It doesn't matter if you're playing Fifth Edition D&D, the original 1970s version, or even a game like Pathfinder, 7th Sea, Call of Cthulhu, or even the Star Wars RPG, these tips should help make your first tabletop RPG adventure a success! One of the major hurdles of being a DM for the first time is the expectation that you need to know every rule in the Dungeon Master's Guide. "The rules, that's one big thing that people get caught up in," Mercer said when asked how DMs should prepare for a campaign. "It's important to have some level of comfort with them, so that players and you are all on the same page. But one thing you have to consider as a new Dungeon Master is you don not have to know the rules like the back of your hand." "If you don't know how to tackle a situation as far as the rules of the book are concerned, just use your logic," Mercer added. "You can decide in the moment to create a specific die roll that will absolve the challenge, or continue the narrative, and it won't slow down the gameplay or break the story that you're trying to tell." Remember, as the DM, you're ultimately in control of the game. You need to be consistent, but the game's rules are ultimately up to you. One of the biggest reasons a Dungeons & Dragons campaign ends up collapsing on itself is due to a lack of communication between the players and the DM about their expectations for a campaign. "Listen to your players," Mercer told ComicBook.com. "Talk with them before you start playing the game and make sure you're all on the same page and understand what type of story you want to play through." "If you come to the table with a very vague un-discussed idea of what this story is going to be, you might end up with a player that wants a hack-and-slash dungeon build, one player that wants a very intrigue-heavy political game, and one player that wants to explore the depths of their character's spiritual souls," Mercer explained. "Then you end up with three people at the table that you're having to cater a story to that are very different and might end up getting frustrated." Communication isn't going to solve every inter-personal problem you might have at the table, but it can smooth many of them over and help players find compromises to make sure that everyone is having a good time. One of the biggest parts of preparing encounters is trying to figure out how your players react to new challenges. If your players can just stab and blast their way through every encounter, it's going to be boring, both for you and them. "I try desperately to try and figure out how they'd react to different scenarios," Mercer said when asked about building scenarios for players that he's known for years. "That's part of what the DM's job is. To try and know their players well enough to where they can build encounters, challenges, and be like, "I think they would do this in this scenario, so I will go ahead and prepare a few options based on this.'" However, it's impossible to know exactly how a player will react to what you throw at them, and that's OK! "Time and time again, the players constantly surprise you, and often not do at all what you expect, and completely muck up your preparation, and that's kind of the beauty of the game," Mercer said. "It wouldn't be as fun to the DM if everything worked out exactly how you thought it would." Improvisation is a crucial part of being a DM, which means that sometimes you're going to have to toss away your notes and react to what zany thing your players try. It's important to not punish your players for doing something that you're not prepared for -- instead, try to go with the flow and see where the story takes you. As a Dungeon Master, you might feel pressure to come up with unique storylines and challenges that your players have never seen or heard before. While creating a great story is one of the best parts of being a Dungeon Master, remember that there are countless stories from which to draw inspiration for your party's adventures. If you're researching a dungeon and see a great trap or puzzle, feel free to claim it for your next session! Is there a character in a television show or book that you feel would be a great addition to your world? Well... change the name a little and your party will probably never know that the blundering merchant in the next town is actually Michael Scott from The Office. In my personal Dungeons & Dragons game, one of the best twists was pulled straight out of a show I watched as a kid. For months, my group's party was searching for a mysterious artifact called the Ocablade. Upon discovering its supposed hiding place, they discovered a beautiful mural showing dragons kneeling before a man holding a large knife with what appeared to be a flute carved out of its handle. The group quietly listened as I described the weapon, not noticing that I had turned on a song in the background which was unfamiliar to all but one person. My friend's face lit up in amazement when he realized he was listening to the Green Power Ranger's theme song, and that the object they were searching for was actually the Green Ranger's Dragon Dagger. It was both an unforgettable and hilarious moment for the entire group. 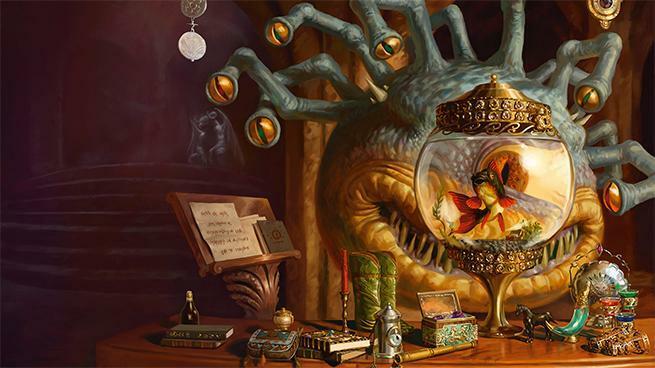 Dungeons & Dragons is no longer a secret passion or niche hobby. Thanks to the Internet, there are a ton of great resources out there to help players build their first campaign. Not only does Dungeons & Dragons have a Starter Set complete with pre-generated player sheets, a simplified rulebook, and a basic adventure book, there's also tons of resources online to help budding DMs craft their own adventures. Some comprehensive videos we like include Matt Colville's video series on DMing and the "GM Tips" video series by DM Matthew Mercer and Satine Phoenix. You can also find tons of helpful information on the /r/dndnext, /r/dnd, or /r/dndbehindthescreen communities. If you have a question about the subtleties of a rule or in-game lore, chances are someone else has already asked that same question online and received an appropriate answer. 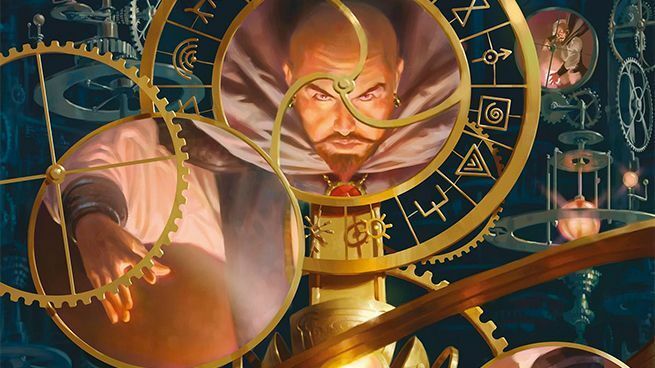 If you can't find any information about a specific rule, you can always reach out to Mike Mearls, the lead designer of Dungeons & Dragons' Fifth Edition, or another Wizards of the Coast staffer via Twitter. They won't answer every question, but social media has made the makers of the game more accessible than ever. There's a bit of pressure that comes with being a Dungeon Master, both to make sure the game is running smoothly and that you're not forgetting a crucial piece of the story. As someone who runs a game watched by hundreds of thousands of viewers, Mercer understands that pressure all too well. But Mercer wants DMs in training to remember that everyone makes mistakes. "Any mistakes you make, for the most part, no one will even notice and everyone will forget in the hour after," Mercer said. "Any of those mistakes that you would make, anybody makes." If you make a mistake, the most important thing to do is to make a note of it and try to fix it in a future session. Whether that means coming up with a different way to convey information or simply sending out an email to your players admitting where you messed up in interpreting the rules, there's no mistake that can't be fixed. Ultimately, the DM's most important job is to make sure that everyone is having fun! Sometimes that means fudging a check role so that a player has a cool moment or putting aside your storyline so that characters can have some fun tipping aurochs. As long as everyone's enjoying themselves, then you're doing a great job at running the game. 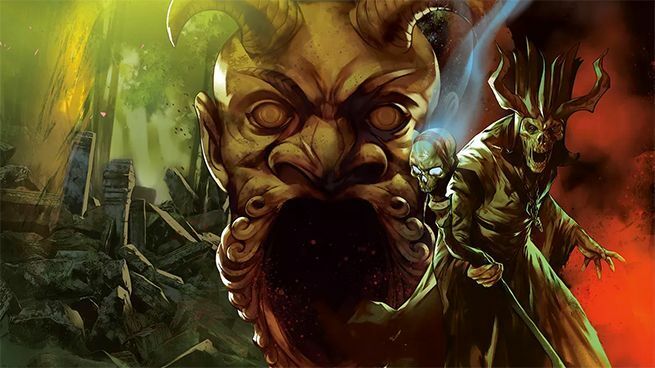 If you're uncomfortable trying to build a campaign from scratch, feel free to check out one of Dungeons & Dragons pre-made adventures, like Tomb of Annihilation or The Curse of Strahd. These adventures can be a great way to wade into the world of D&D -- or serve as the foundation for a story written and designed by you!